Phosphorus, nitrogen and geography have been slowly strangling the Baltic Sea, but today’s water samples taken by biologists at Hel on the Polish coast were good. Are the many efforts to save the Baltic Sea working? 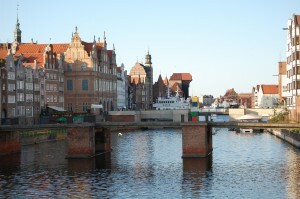 A report from an environment workshop hosted in Gdansk, Poland, by Media21 and the Finnish Institute of International Affairs. The white disc on the knotted rope was visible down to a depth of four or five meters in the Hel Bay, a stretch of the Baltic Sea off the Polish city of Gdansk. The water temperature was about 16˚C and the salinity was 6‰. Dead zones with blue-green algae and an almost total lack of oxygen cover more than 10% of sea bed of the Baltic Sea – at 377,000 km2 the largest inland sea in the European Union. These zones are a result of a conspiracy between the sea’s geographical circumstances and years of pollution. In the words of another researcher, the Baltic Sea is a P-soup. Although this is a reference to pea-soupers, dense fogs deriving from coal fires that clogged Britain’s air for almost a century from the mid-1880s until eradicated by successive clean air laws, the ‘P’ stands for phosphorus. Phosphorus is necessary for humans and plants to grow. Together with nitrogen it is an ingredient in the fertilizers used in farming. Over-use of fertilizers means nitrogen and phosphorus are washed by the rain into the rivers flowing into Baltic Sea. But the phosphorus gets algae to grow in the water, devouring oxygen; some of the algae drop to the bottom and use the remaining oxygen, and release sulphurous substances as they decompose. Fish swim away from the areas that are low in oxygen, while the algae form an algae bloom that is washed around by the current, sometimes landing on the coasts and beaches. The beaches at Hel – clearly a holiday resort and the home of a small fishing fleet – have been cleaned up, but it was beaches on the Finnish and Swedish coasts that took the brunt of the effects of the pollution. Those two countries have led the fight to clean up the Baltic Sea. In reality, cleaning up the Baltic Sea has meant reducing nitrogen, phosphorus, heavy metals and other pollutants in waste water and rivers, mainly running from Poland and Russia to the Baltic Sea, and cutting down on emissions to the water environment of the many industries in the region, including the paper makers, which are intensive users of water. The Baltic Sea has long been polluted almost to the point of asphyxiation. With flows of water restricted by the Skagerrak, the Kattegat, the Great Belt and Little Belt, and the Sound – waters shared by Norway, Sweden and Denmark, but used as international waterways – and receiving pollution from industry, including paper making, farming and shipping, the Baltic Sea is eutrophic. This means that it suffers from chemical nutrients that increase the primary productivity of the ecosystem, but lead to negative environmental effects such as anoxia (decrease in oxygen levels) and severe reductions in water quality, fish, and other animal populations. Cleaning the Baltic Sea and its associated waters, and keeping them free from pollution, is a challenge that needs much work by and close collaboration among the ten nations directly involved – the other nations are Finland, Russia, Estonia, Latvia, Lithuania, Poland and Germany. Of the countries mentioned, Norway does not border on the Baltic Sea – but it is in the Baltic Sea’s drainage basin, together with Belarus, the Czech Republic, Slovakia and Ukraine. Together the countries form a catchment area that is home to 85 million people. Daniel Conley, an oceanographer and holder of the Marie Curie Chair at Lund University’s GeoBiosphere Science Centre, describes the Baltic Sea’s condition as hypoxic. The surface area of the Baltic is about 37,000 km2, and as much as 11% of the total area of the sea lacks oxygen, having less than 2 mg of oxygen in every litre of water. Because of pollution – primarily untreated waste water and seepage of chemicals from agricultural fertilizers – the freshwater is rich in nutrients such as nitrogen and phosphorus. While fish can swim away from this, smaller organisms such as algae and zoo-plankton, part of the diet chain of the fish in the Baltic Sea, die and decompose on the sea bottom with the aid of sulphurous bacteria. This process consumes more oxygen and forms a dead zone. The stratification in the Baltic Sea caused by the salt water inflow and freshwater outflow traps material such as pollution and algae for longer periods than in other seas. The salt water inflow brings vital oxygen, which starts to mix with the bottom layers of water in the Baltic Sea, but the frequency of the massive inflows of oxygen-rich salty water appears to have fallen from once every five years to once every ten, although the volume is little changed. The situation is not new – Conley says sediment cores show that hypoxia has occurred several times in the 8,000 years that the Baltic Sea has existed – and is partly a result of the inflow of salty water from the North Sea underlying the freshwater that derives from a number of Europe’s rivers, including the Neva, which is the largest source of freshwater for the Baltic Sea. Conley points to several factors that may determine observed hypoxia cycles. They include the explosion of agriculture following the development 500 years ago of a plough that can turn the soil over; the felling of forests that bind carbon and nitrogen in the soil; and the development of pig farms – each pig produces 2.5 times the amount of waste as a human. Engineering-type solutions to the problem have yet to be found in Conley’s opinion. Releasing oxygen into the deeper parts of the Baltic is not feasible, he says. Increasing the water exchange across the Drogden Sill, in the Sound off Copenhagen, would increase the salt water inflow – but also create more stratification and more hypoxia. Closing the Drogden Sill would lead to short-term hypoxia over 10-15 years, but improved oxygen conditions after about 30 years. Conley believes the only engineering solution that would improve the conditions in the Baltic Sea is halocline ventilation through mixing the salty and fresh water at depths of 50 to 125 m, although its environmental consequences are unknown (a halocline is a strong, vertical salinity gradient). Structures resembling wind turbines could be used for water mixing. Warning that there is no ‘silver bullet’ that will provide a solution, Conley asks whether we can enhance the permanent burial of phosphorus in the Baltic Sea sediments; whether we should manipulate species to change the biological interaction in the Baltic; or whether we ought to reduce the number of mid-level fish (sprat and herring) to allow lower organisms to eat the algae. Conley’s own proposal is to restore the coastal regions’ function as a filter to reduce nutrient loading of the Baltic Sea. He says nutrients are processed in the coastal zone and “every time you disturb the soil, nutrients are released”. Funding for solutions should concentrate on reducing nutrients released by agriculture and waste-water treatment plants, while creating more forests around rivers and nutrient hot-spots would lead to less nutrient run-off from farms as the trees would bind nutrients. But, Conley says, while you may increase the freshwater inflow into the Baltic Sea, you cannot go back to a pristine condition there. The Baltic Sea flows out through the Danish straits – the Great and Little Belts and the Sound. However, the flow of water through and the mixing of salt and fresh water in the Baltic are complex. A surface layer of brackish water discharges 940 km³ per year into the North Sea. Due to the difference in salinity, a sub-surface layer of more saline water moving in the opposite direction brings in 475 km³ per year. It mixes very slowly with the upper waters, resulting in a salinity gradient from top to bottom, with most of the salt water remaining below 40-70 m. The general circulation is counter-clockwise: northwards along its eastern boundary, and south along the western one. The difference between water outflow and inflow comes entirely from fresh water. More than 250 rivers and streams drain a basin of about 1.6 million km², contributing a volume of 660 km³ per year to the Baltic Sea. They include the major rivers of north Europe, such as the Oder, the Vistula, the Neman, the Daugava and the Neva. Additional fresh water comes from the precipitation less evaporation, which is a positive difference. Infrequent inflows of North Sea water are an important source of salty water and also transport oxygen into the depths of the Baltic Sea. Such inflows occurred on average every four to five years until the 1980s. In recent decades, however, they have become less frequent, with the three latest in 1983, 1993 and 2003, suggesting a new inter-inflow period of about ten years. The flow of fresh water from the rivers and the flow of salty water from the southwest build up a gradient of salinity in the Baltic Sea. The salinity gradient is paralleled by a temperature gradient. These two factors limit many species of animals and plants to a relatively narrow region of Baltic Sea. The most saline water is vertically stratified in the water column to the north, creating a barrier to the exchange of oxygen and nutrients, and fostering completely separate maritime environments. Because of the abundant freshwater supply, the Baltic Sea’s salinity is much lower than that of ocean water (which averages 3.5%, or 35‰). The open surface waters of the central basin have salinity of 6-8‰. At the semi-enclosed bays with major freshwater inflows, such as head of Finnish Gulf with the mouth of the Neva River and the head of the Gulf of Bothnia with the mouths of the Lule, Tornio and Kemi Rivers, the salinity is considerably lower. Below 40-70 m, the salinity is 10-15‰ in the open Baltic Sea, and more than this near the Danish straits. Some estimates say that about 100,000 km² of the Baltic’s sea floor (a quarter of its total area) is a variable dead zone. The saltier (and therefore denser) water remains on the bottom, isolating it from surface waters and the atmosphere. This leads to decreased oxygen concentrations within the zone. It is mainly bacteria that grow here, digesting organic material and releasing hydrogen sulphide. Because of this large zone that lacks oxygen, the sea floor ecology differs from that of the neighbouring Atlantic Ocean. Andzrej Tonderski of the Pomeranian Centre for Environmental Research & Technology (POMCERT) in Gdansk calls the Baltic Sea a P-soup – where ‘P’ stands for phosphorus. The phosphorus in the water leads to algae bloom, and eventually results in the severe or total depletion of oxygen that characterises the Baltic Sea. Tonderski adds that there is a need for a phosphorus action plan for the Baltic Sea region – what he calls ‘common pot’ funding for effective initiatives in critical areas of activity, such as recovering phosphorus from sludge from waste-water treatment plants, to eke out supplies of phosphorus. Agreeing that the Baltic Sea is one of the most polluted water regions of the world, Lennart Gladh of WWF Sweden says that the Baltic Sea’s catchment area is about 4.5 times larger than the sea itself. Consequently, the problems must be solved on land. And cutting the pollution coming from point sources such as industry and waste-water treatment plants puts a greater burden on farming, where the sources of pollution are more diffuse. Concentration of nitrogen in the waters of the Baltic Sea has risen eightfold and concentration of phosphorus has risen fourfold in the past century, he says. Farming is responsible for 40% of the nitrogen and 50% of the phosphorus in the Baltic Sea, while transport and energy together are responsible for another 40% of the nitrogen. Keeping to its slogan ‘for a living planet’, the World Wide Fund For Nature (WWF) says farming should not be subsidised for providing products that have a market, such as cereals, milk and meat. Such money should instead go towards paying for ‘public goods’ such as water protection, biodiversity, climate initiatives, cultural heritage and rural development. “Of the European Union’s budget, 43% is in the form of farming subsidies under the common agricultural policy,” Gladh says. He would rather see regional common agricultural policies that are adapted to variations in natural conditions and local problems. A water framework directive and landscape and freshwater restoration efforts should also form a part of EU policies. On the whole, Gladh believes, the polluter should pay. His colleague at WWF Finland, Anita Mäkinen, says the Baltic Sea is still threatened despite a number of agreements aimed at throwing light on and rectifying its problems. WWF has issued a Baltic eco-region programme that calls on a reform of the EU’s common agricultural policy to turn it into a common environment and rural policy. Mäkinen says this would supply the environmental goods and services demanded by European citizens and taxpayers, provide a more transparent, equitable and efficient support system for rural areas, and facilitate more market-oriented and less trade-distorting farming. “A Baltic Sea region strategy could help us achieve a more integrated approach to managing the Baltic,” she says. The only farming representative who agreed to attend the workshop, Langaas comes from the Federation of Swedish Farmers, LRF. He agrees that agriculture has a responsibility for polluting the Baltic Sea – 60% of waterborne nitrogen and 50% of waterborne phosphorus flowing into the Baltic come from farming and managed forestry. But he points out that a number of the determining factors in farming are natural, not man-made; these include soil properties, temperature, and precipitation. On the other hand, the crops grown, the area of land cultivated and the number and types of animals raised depend on market conditions. Agri-environmental measures such as requirements to manure storage and handling, and agricultural practices in general also impact on farmers’ work. Langaas says farmers are acting to reduce emissions. They plant catch crops such as grain after they have harvested the main crops; the catch crops keep nitrogen and minerals in the soil. Farmers have introduced riparian buffer zones between their land and a river or stream to conserve the soil, and they have created or restored wetlands both as a buffer and in the interests of biodiversity. Farmers also apply liquid manure directly into the topsoil to help reduce leakage, and manure storage occurs in tanks covered with lids or membranes to prevent evaporation. Some have bought a measuring system that determines the optimal amount of nutrients needed for a crop – a quite expensive system that they rent out to other farmers. As a source of funding for sustainable growth project, the Nordic Investment Bank (NIB) focuses on four areas: transport, logistics and communications; innovation; energy; and the environment. For the past ten years or so, NIB has helped finance four projects covered by a large investment programme in St Petersburg. These aim at reconstructing and upgrading two of the Russian city’s major waste-water treatment plants and a sewage collection system. St Petersburg will be able to treat 94% of its waste water from 2010, up from the present level of 85%. Until the second half of the 20th century, the city did not treat its waste water, and even now some 300,000 m3 of municipal and industrial waste water is discharged into the Neva River every day without treatment. A project to treat 296,425 m3 of this will cut phosphorus pollution by 1,058 t a year, nitrogen pollution by 3,262 t a year and the biological-oxygen demand (BOD, the oxygen used by microorganisms to decompose organic waste in water) by 12,027 t a year. Another project funding source is the Nordic Environment Finance Corporation (NEFCO), which has a geographic mandate limited to Russia, Ukraine, Belarus, Estonia, Latvia and Lithuania, but following the Baltic states’ admission to the EU the focus is growing on Russia (the most important area), Ukraine and Belarus. “It is cheaper to reduce discharges in these countries than in the Nordic countries,” says NEFCO’s Mikael Sjövall. NEFCO-funded projects have reduced phosphorus discharges by 1,000 t a year in waste-water treatment plants, and there is growing focus is on cutting nitrogen and BODs. NEFCO has €353 million available for project funding, but only a maximum of €5 million is available for each project, so project managers must find sources of co-funding. NEFCO issues loans and capital investments for environmental issues, climate issues, protecting the Baltic Sea, and mitigation of toxic discharges. The projects must rely on tested technologies and the emissions reductions must be targeted and measurable. No projects on greenfield sites are funded because there are no emissions cuts resulting from them. Poland is in the process of modernising or building waste-water treatment plants to cut emissions of nitrogen and phosphorus to the Baltic Sea. Olgried Gelbewicz of Waterworks Poland says a scheme to improve waste-water treatment at Szczecin, about 350 km west of Gdansk, will cut nitrogen flowing into the Baltic Sea from 1,800 t in 2000 to 200 t in 2010; phosphorus emissions will be cut from 240 t in 2000 to 20 t in 2010, he says. 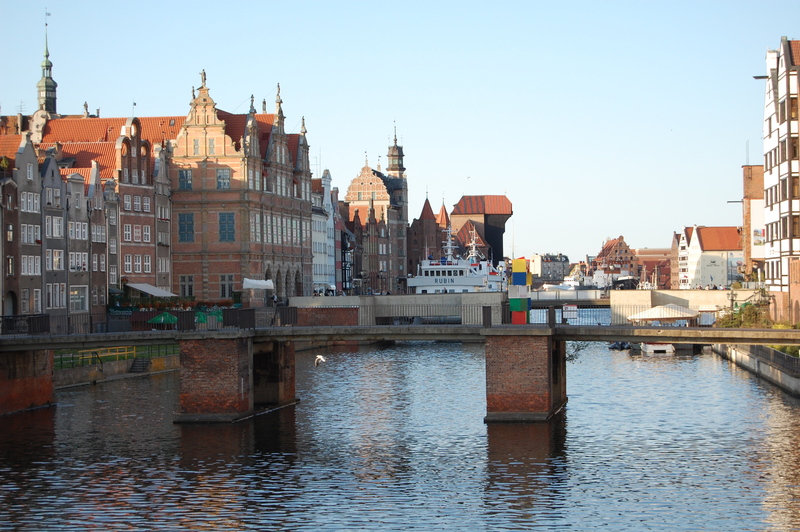 In Gdansk itself, work is also progressing to modernise one waste-water treatment plant, which processes 87% of Gdansk’s sewage, to cut nitrogen and phosphorus emissions. Similar work is in progress at St Petersburg. Karri Eloheimo of Finland’s John Nurminen Foundation agrees that treating waste water to cut nitrogen and phosphorus emissions is important as the biggest point sources of phosphorous entering the Baltic Sea are the municipal waste-water treatment plants of big cities. According to the foundation, the Baltic Sea has been used for many years as a dump for uncleansed community water, waste water from industries, agriculture and ship traffic, and different kinds of solid refuse. The bottom sediments of the Baltic Sea still contain large volumes of heavy metals and other environmental toxins. Since the 1990s, the amount of toxins and heavy metals in the fish population of the Baltic Sea have decreased, but the concentrations still remain very high. Eutrophication is the biggest problem of the Baltic Sea, and the Gulf of Finland is its most eutrophicated basin. Though eutrophying nutrient discharges have lately decreased, there has been an increase in the visible symptoms of eutrophication, such as blue-green algae, water opacity, beach mucilage and the number of anoxic seafloor areas. According to current estimates, climate change will further precipitate the eutrophication of the Baltic Sea. The current phosphorous load to the Baltic Sea from land-based sources is about 30,000 t a year. The Gulf of Finland is one of the most heavily loaded areas of the Baltic Sea, as it represents only 10% of the total volume of the Baltic, but still receives over 7,000 t of phosphorous annually. The annual reduction target in the Helsinki Commission’s Baltic Sea Action Plan is 15,000 t. This reduction target has been shared into quotas for each country, based on their emissions of phosphorous and nitrogen to the Baltic Sea. The annual phosphorous reduction target of Finland is 150 t.
Sources of phosphorous entering the Baltic Sea can be divided to diffuse and point sources. Diffuse sources (mainly from agriculture) contribute over 50% of total phosphorus inputs. The biggest point sources are municipal waste water from big cities. Kaliningrad, Ukraine and Belarus are also to reduce their emissions. The intention is that 40 Polish cities should be working together in this emissions-cutting project, but the collaboration currently involves only two cities. Poland expects to have finished building or modernising 1,000 waste-water treatment plants in 2013. The Krakow waste-water treatment plant is aiming for a maximum of 0.3 mg phosphorus in each litre of water. Greatest focus is on waste-water treatment plants serving cities of 100,000 people or more. “It will be interesting to see what the waste-water treatment situation will really be like in Poland when this construction project is finished,” Eloheimo adds. Maciej Lorek, the director of Gdansk’s Environmental Department, says the biggest problems regarding the future of the Baltic Sea are publicity and awareness. Politicians do not think that coordination of policies – between countries, or application areas such as land-sea – is important. And Polish people have a distrust of politicians. Poland is the largest emitter of nitrogen and phosphorus to the Baltic Sea, and is responsible for 34% of the nitrogen and 32% of the phosphorus emissions. The phosphorus and nitrogen load in the rivers is higher than the effluent entering the waste-water treatment plants. But, he says, measured per capita, Poland has low nitrogen and phosphorus emissions. Poland’s emissions are falling, while Germany’s are static and Sweden’s seem to be rising. “Farming should be dealt with first as agriculture’s emissions are high but more difficult to control,” Lorek says. Poland has quite high use of phosphorus in farming, 18 kg/ha, but nitrogen use is 50 kg/ha on average. Lorek recommends closer collaboration across the whole of the Baltic Sea catchment area. There should be greater efforts to locate financing possibilities and the money should be used on programmes to reduce waste in the Baltic. He feels there should be a Baltic Sea authority to administer funding as a single source of project finance. It should also oversee the projects. He says the nature and roots of the problem are not properly understood. The polluting countries are poor, while the countries that suffer from the pollution are richer. Yet the poorer countries pay the most and the rich countries reap the benefits.Ollikainen sees a need for a binding international agreement for the Baltic Sea region. In this respect, Ollikainen says, the Helsinki Commission’s Baltic Sea Action Plan is “good, expensive and unfair”. Claiming that a lack of political willingness leads to ineffective environment policies, Ollikainen notes that lack of political action is due to several factors – a fear of voters’ reactions, no feeling of ‘ownership’ of the problem, and a readiness to put the blame on other countries. “Protecting the Baltic Sea requires publicity, democracy and civilian institutes that do not have a negative attitude to environmental movements,” he says. Farming run-offs must be reduced, Ollikainen says. The EU’s common agricultural policy has no special focus on water protection, while farmers’ revenues from the policy help increase the area under cultivation unnecessarily. Biodiversity preservation requires creative solutions and climate change will modify the Baltic Sea’s ecosystem. Ollikainen proposes that a nutrient trading system be adopted for nitrogen and phosphorus emissions. In addition, the risks and loads of marine traffic, especially oil transports, must be controlled, in part to avoid oil spillage. The Baltic Sea’s pollution problem has been the centre of regional environmental agreements since the mid-1970s, with the Helsinki Convention at the forefront. In 1974, for the first time ever, all the sources of pollution around an entire sea were made subject to a single convention that was signed by the then seven Baltic Sea coastal states. This 1974 Helsinki Convention entered into force on 3rd May 1980. In the light of political changes and developments in international environmental and maritime law, a new convention was signed in 1992 by all the states bordering on the Baltic Sea, and by the European Community. After ratification the new Helsinki Convention, the Convention on the Protection of the Marine Environment of the Baltic Sea Area, 1992, entered into force on 17 January 2000. This convention covers the whole of the Baltic Sea area, including inland waters and the water of the sea itself, as well as the seabed. Measures are also taken to reduce land-based pollution in the whole catchment area of the Baltic Sea. The governing body of the convention is the Helsinki Commission, also known as Helcom, or Baltic Marine Environment Protection Commission. The present contracting parties are Denmark, Estonia, the EU, Finland, Germany, Latvia, Lithuania, Poland, Russia and Sweden. Minna Pyhälä says Helcom is an environmental policy-maker that coordinates the regional protection activities, but has no mandate for fisheries, farming or shipping under the International Maritime Organization, which includes pollution deriving from shipping. It tries to ensure that the Helsinki Convention recommendations are implemented, but they are not legally binding on the convention’s signatories. The region’s environment ministers agreed in 1988 to cut nitrogen and phosphorus emissions by 50%, and a joint plan to reduce phosphorus emissions to the Baltic Sea was launched in 1992. Helcom also developed a Baltic Sea Action Plan, launched in 2007, which aims at reversing the degradation of the sea by 2021. A new assessment of the state of the Baltic Sea, from April 2009, indicates that eutrophication is a widespread problem in the sea. Reaching a ‘clear water’ state in the Baltic Sea requires a 42% cut in phosphorus input and an 18% cut in nitrogen input to the sea, but with regional differences to take account of the state of the sea – some areas such as the Gulf of Finland are not as badly hit as other areas. National implementation plans are in place to reach provisional reduction goals by 2010. “For political reasons, acquiring, agreeing on and adopting the various measurement figures for assessments and monitoring are difficult,” Pyhälä says. 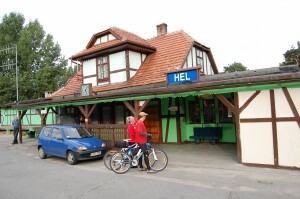 As we leave Hel by train for the 2½-hour journey back to Gdansk, we learn that EU leaders meeting in Stockholm had discussed the European Union’s Baltic Sea strategy. The Swedish EU Presidency confirmed that the EU heads of state and government are expected to adopt the strategy at the end of October. This strategy indicates that rapid action is needed to clean up the Baltic Sea, says Jari Luoto, the ambassador for Baltic Sea issues at the Finnish Ministry of Foreign Affairs. He notes that there are economic challenges facing the strategy at the moment – recession and differences in development among the countries in the catchment area. In addition, he says, the EU strategy needs an external dimension and there is a lack of cooperation between the various authorities. “The environmental objective ranks as a high priority based on the urgency of addressing the ecological and environmental decline of the Baltic Sea in particular,” said the working group that prepared the action plan for the Baltic Sea strategy. “Whilst the development of the EU strategy for the Baltic Sea region also needs to address environmental concerns in land areas, the priority given to the marine environment reflects the 2007 European Council conclusions, highlighting that the strategy for the Baltic Sea region must address the urgent environmental challenges related to the Baltic Sea. Because it is out of season, the ferry boat between Hel and Gdansk, which takes 110 minutes to navigate the 16 km stretch of water, sails only once a day. But other shipping, especially of oil and gas, is increasing. Russian ports are seeing growth, with rising oil transports from Primorsk (80 million t in 2007) and Ust Luga, and more growth to come. This is resulting in growing emissions from shipping, primarily sulphur oxides (SOx) and nitrogen oxides (NOx). Shipping on the Baltic Sea is becoming more frequent, and the risks related to oil damage are increasing as well. Minor cases of oil damage occur on the Baltic Sea each year, but major oil catastrophes have so far been avoided. The size of oil tankers in the Baltic Sea traffic increases on a continuous basis. In order to prevent large-scale oil disasters, it is essential to invest in maritime safety and to improve the oil destruction readiness in case of damage, says the John Nurminen Foundation. The public has little knowledge of that debate, and the debate has hardly started about the effects on the Baltic Sea of the construction from next year of the planned 1,220-km Nord Stream gas pipeline. Is Europe’s increasing dependency on Russian oil and gas going to overshadow the need for a massive Baltic Sea clean-up? Or will the broader climate change mitigation efforts leave the clean-up of the Baltic Sea as an under-financed second priority? Click here to read the WWF Baltic Sea website. Click here to visit Lund University’s website. Click here to go to the website of POMCERT – Pomeranian Centre for Environmental Research and Technology. Click here to visit the website of the Federation of Swedish Farmers (LRF). Click here to go to the John Nurminen Foundation website. Click here to visit the University of Helsinki, Department of Economics and Management website. Click here to go to the Sida website. Click here to go to the German Institute for International and Security Affairs website. Click here to download the European Union Strategy for the Baltic Sea Region Action Plan. Click here to go to the Media21 website. Click here to visit the Finnish Institute of International Affairs website. EU leaders meeting in Stockholm have discussed the European Union’s Baltic Sea strategy. The Swedish EU Presidency confirmed that the EU heads of state and government are expected to adopt the strategy at the end of October. But analysts question whether the EU will fully implement its Baltic Sea strategy as words in the past have often not been followed by action. The Swedish EU Presidency of the European Union confirmed today that the EU heads of state and government are expected to adopt the EU’s Baltic Sea strategy at the end of October. The announcement came after representatives of the European Parliament, the European Commission, the European Investment Bank and European Union member states, together with Toomas Ilves, President of Estonia and Swedish Prime Minister Fredrik Reinfeldt discussed the strategy at a meeting in Stockholm. The strategy indicates that rapid action is needed to clean up the Baltic Sea. The idea behind the strategy for the Baltic Sea is to use the existing EU legislative programmes, to combine funding sources, and to get farming to become more efficient. The strategy rests on four pillars (environmental sustainability, prosperity, accessibility and attractiveness, and safety and security) and 15 priority areas representing the main areas where the strategy can contribute to improvements (either through tackling the main challenges or through seizing the main opportunities); each priority areas will be the responsibility of one (sometimes several) EU member, which will involve all relevant stakeholders. Described as a key instrument in promoting territorial cohesion with both land and maritime dimensions, the European Union Strategy for the Baltic Sea Region is thus much broader than cleaning up the Baltic Sea. But the working group warned that the current economic crisis affects the actions and flagship projects presented in each section of the action plan. The European Commission, which considers the proposed actions to be important, suggests that EU members use the crisis as an opportunity to review their priorities. “The Baltic Sea strategy largely has what it takes to become a success,” said Carsten Schymik of the German Institute for International and Security Affairs (SWP) in ‘Blueprint for a macro-region’, an analysis of the strategy. “Its policy priorities – environment, economy, infrastructure, security – are reasonably well chosen and largely in line with the issue agenda as it is perceived by regional stakeholders. Schymik said the main obstacle does not seem to be a lack of financial resources, more a lack of political will. Schymik added that the success of the strategy requires a strong impetus for regional cooperation, a new dynamism that cannot be built upon the prospect of acquiring additional funding or creating new institutions. Nevertheless, the present strategy contains a promising element – the ‘Annual Forum’. He envisaged the annual forum growing into a major event involving a variety of networks and organisations active in the region such as the Council of the Baltic Sea States (CBSS), the Baltic Sea States Subregional Co-operation (BSSSC), the Union of the Baltic Cities (UBC), the Baltic Sea Parliamentary Conference (BSPC), the Nordic Council (NC), the Baltic Assembly (BA), the Baltic Sea Trade Union Network (BASTUN), the Baltic Development Forum (BDF), and the NGO Forum. In addition, Schymik said, Russia’s role in the context of the strategy remains unclear. In contrast to Norway, Russia did not participate in the consultation process, nor has it given an opinion about the Baltic Sea strategy. A survey conducted by the Baltic Sea Unit of the Swedish International Development Cooperation Agency (Sida) noted that EU’s Baltic Sea strategy is designed to deliver a more prosperous, environmentally sound, accessible and safe region. “Hopes for implementing the strategy and reaching its goals are generally high, but are they too high?” the agency asked. “We believe not and we agree with one of our respondents who maintained that the hopes entailed in the strategy are modest hopes compared to the advances already made in recent decades,” say Thomas Johansson and Mikael Olsson of the Baltic Sea Unit. But, they said, contacts across this new Mare Nostrum of the EU are not yet intensive enough. This is a worrisome situation, because contacts are the key to generating awareness and fencing off ignorance. In its turn, awareness is a prerequisite for intuitive regional thinking. Connecting the Baltic Sea region to the surrounding world thus remains a high priority issue, also in the years to come, they said. Click here to go to the Helsinki Commission website.